A multi-task fighter that entered service in IAF in 1969, and makes an important contribution to its power to this day. The plane participated in the War of Attrition, the Yom Kippur War and Operation Peace for the Galilee, and is credited with more than 100 kills. The Phantom was developed by McDonnell Douglas - now Boeing - as an aircraft-carrier based multi-task plane. The prototype took off on May 27th 1958 and received good reviews from the Navy, which ordered 45 planes. In 1961 it became the standard fighter and photo-recon plane in the Tactical Air Command. It was thus that a long history of production began - a history that would encompass 23 years and 5,000 planes in 15 different models. The Phantom is powered by twin General Electric J79 engines, mounted side by side along the length of the fuselage. Of the engine's sub-models, the most important is the J79-GE-17. Each engine delivers a thrust of 5,385 kg. without using its afterburners, and 8,210 kg. thrust with the afterburners. McDonnell Douglas and the Israeli Aircraft Industries had both considered replacing the J79's with Pratt & Whitney PW1120. The IAI experimentally installed the new engines in a Phantom, and its performance was markedly enhanced, in terms of cruise speed and range. The Phantom is a two seater, with the navigator/WSO sitting behind the pilot. In case of an emergency, the WSO can fly the plane from his seat. The plane has tremendous and varied attack capabilities, from ground targets - for which it uses bombs and air-to-surface missiles at a total weight of 7,257 kg. - to threats from the air, which it deals with by employing Sparrow, Sidewinder, Shafrir 2 or Python (3, 4) missiles. In addition, the Phantom has a six-barrelled 20 mm. cannon with 640 rounds. The IAF expressed interest in buying Phantoms in 1965, when they were the most advanced airplane in service, anywhere. The Americans refused this, but agreed to sell Israel Skyhawks. Only in January of 1968, after massive pressure was applied at the highest diplomatic levels, did the Americans relent. The IAF, which at that time preferred single-seat aircraft, considered having a single seat version of the Phantom designed exclusively for it. The idea was abandoned when it was realized that giving up the second crewman would prevent full utilization of the Phantom's excellent potential. It was decided to purchase the tandem seat E model, which was in development at the time. 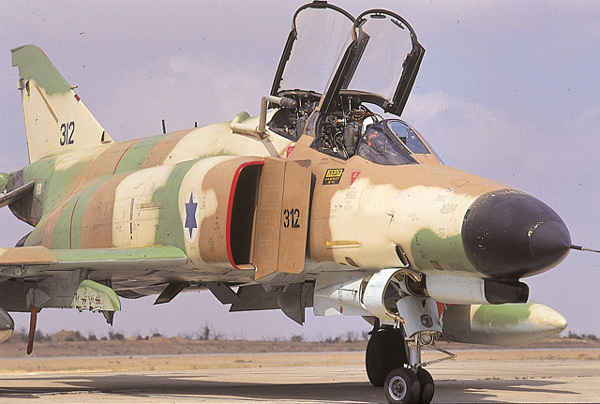 At the IAF's initiative, an internal cannon was included - the first time a Phantom model included a cannon. On September 5th 1969 the first quartet of Phantoms landed on Israeli soil, and the 'Ahat' ('One') Squadron was founded. A few weeks later, additional planes equipped the 'Patishim' ('Hammers') Squadron. Heyl Ha'avir now possessed the world's no. 1 fighter. The Phantom was faster than the Mirage, carried almost 6 times more armament, was equipped with advanced radar and a wide range of air-to-air missiles, and its range was almost double that of its French counterpart. The Phantom squadrons did not have too much time to get organized. The War of Attrition, which was at its peak at the time, necessitated going into action in the Suez Canal zone, while readying additional Phantom crews. Just four weeks after their arrival, the planes were already patrolling the Sinai skies, under their first operational orders. 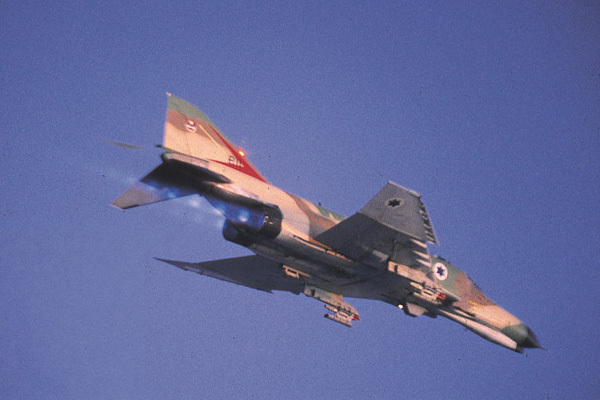 On October 22nd 1969, the Phantoms were already attacking ground targets, and November 11th 1969 was the date of the IAF Phantoms' first kill: an Egyptian MiG-21. 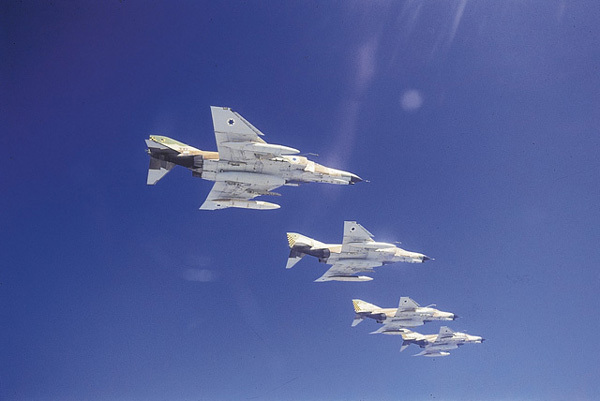 Until the War of Attrition ended - in August of 1970 - the Phantoms continued to attack Egyptian targets and carry out photo-reconnaissance and air patrol missions in the area. 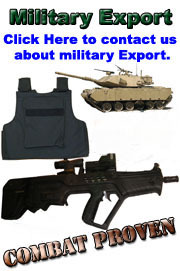 They also played a major role in the attacks on strategic targets deep inside Egyptian territory. Their high weapons load capability, together with their long range, made them the IAF's 'bombers'. The depth attacks on Egypt resulted in the arrival of Soviet pilots and planes in the Arab state, in order to bolster its air defenses. 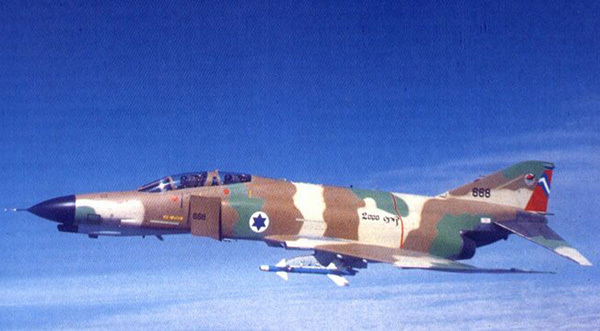 The first and last encounter between Israeli pilots in Phantoms and Mirages and the Soviet pilots was on July 30th 1970, and resulted in 5 MiG's shot down, two by the Phantoms. Two weeks earlier, the Israeli Phantom array had been dealt a heavy blow, when the commander of 'One' Squadron, Shmuel Hetz, was killed while attacking an Egyptian SAM site. After the war, additional Phantom jets were purchased. The Yom Kippur War was the war of the Phantom. The planes attacked tanks, SAM's and bunkers, shot down hostile planes, and carried out scores of reconnaissance and photography missions over Egypt and Syria, as well as air-to-surface missions like attacking airbases, Egyptian pontoon bridges on the Suez Canal and Egyptian front line forces. In Operation 'Dugman 5' the Phantom array suffered heavy losses: six planes were shot down while attacking Syrian SAM's. During the war, Phantoms carried out 500 depth attacks in Egypt and Syria. The most famous of these was the strike against the Syrian General Staff. On October 9th 1973, two Phantom quartets attacked the General Staff Headquarters in the heart of Damascus. The attack was a success, but had a heavy price tag: two planes were hit and one pilot killed. Another plane was damaged by AA fire but managed to make it back to base. The sortie's leader, Col. (Res.) Arnon Levoshin, was later awarded the Citation of Excellence for the successful attack. The IAF received additional Phantoms during the war, as part of the airlift from the US. The planes were quickly fitted for service in the IAF, and some of them even managed to take part in sorties before the war ended. The Phantom Squadron lost many of its planes during the war, and a significant proportion of crew members were either killed or taken prisoner by Egypt, Syria or Lebanon. In 1974 a fifth Phantom Squadron was formed: 'Akrav' Squadron. 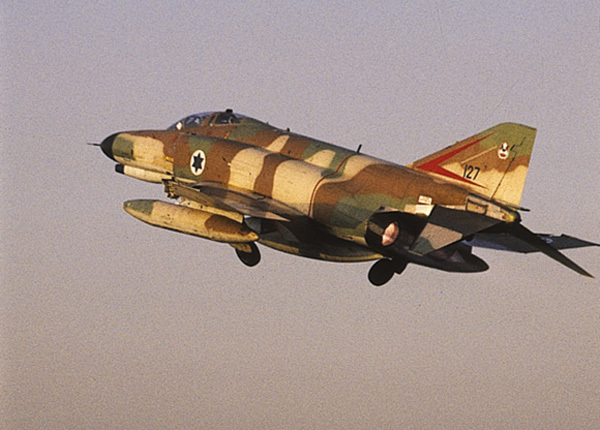 Nine years after the Yom Kippur war, the Phantoms were again attacking SAM sites - a mission they had specialized in since their arrival in Israel, and which had cost the lives of quite a number of pilots. 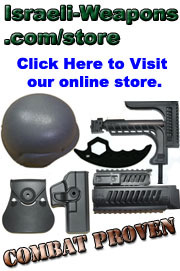 The nine years between the wars had been utilized for the development of new weapons and methods of attacking the SAM's. On June 9th 1982, the fourth day of Operation Peace for the Galilee, the Phantoms played a major role in the operation that destroyed the Syrian SAM's in the Lebanese Beka'a valley - a mission they carried out with great success. Despite a massive presence of F-15s and F-16's in the skies over Lebanon, it was a Phantom that shot down a Syrian MiG-21 that day. On July 24th 1982 a Phantom was shot down while carrying out an attack. The WSO, Maj. Aharon Katz, was killed, and the pilot, Cpt. Gil Fogel, was taken prisoner by the Syrians. Cpt. Fogel returned to Israel in June of 1984, after two long years in captivity. In October 1986, during a routine attack in Lebanon, an IAF Phantom was damaged as a result of a technical malfunction. The crew - pilot Maj. Aviram, and the WSO, Maj. Ron Arad, had no choice but to bail out. Maj. Aviram was rescued in a daring operation by a Cobra helicopter, in which he hung on to the chopper's landing gear. Ron Arad was taken captive. The first model, developed directly from the prototype. The US Navy was the sole client, buying all 649 planes manufactured. The Navy deployed them aboard aircraft-carriers, as missile-armed interceptors for defending the Navy's ships and supply convoys. 583 planes of this model were purchased initially. 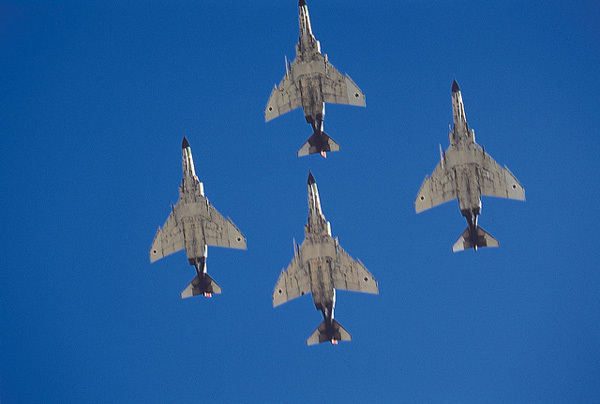 These were F-4B's that had been refitted for ground operations. The next model purchased by the Americans was the F-4D. 825 planes of this model were manufactured, but the USAF wanted an even better model, equipped with an integral cannon, among other things. This model, which took off on its maiden flight on June 30th 1967, became the leading Phantom model, with 1,389 planes built. The plane, which serves in the US Air Force and other air forces, is different from earlier models in that it has an integral cannon, as well as improved systems that give it an added edge in air-to-air and air-to-ground operations. One important addition made was the plane's ability to employ precision guided weapons. The 4FE's are capable of carrying different types of laser target designators, including the Pave Tack, considered to be one of the best of its kind. 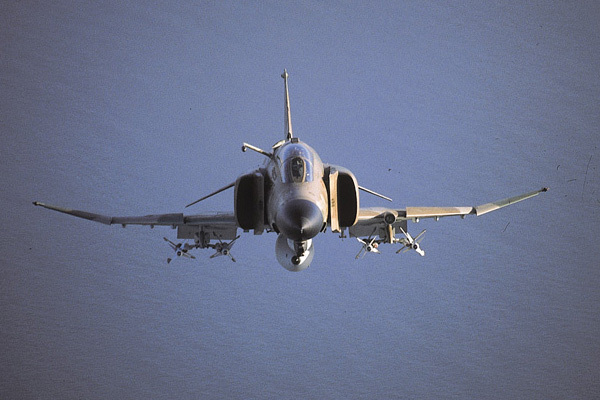 The F-4E carries laser guided bombs and guided missiles of different types. The F-4G 'Wild Weasel' is the Phantom's most advanced model. The plane, which took off on its maiden flight on December 6th 1975, was specifically developed as an anti-SAM weapon. The USAF purchased 116 of these planes, and they were used in the Gulf War. 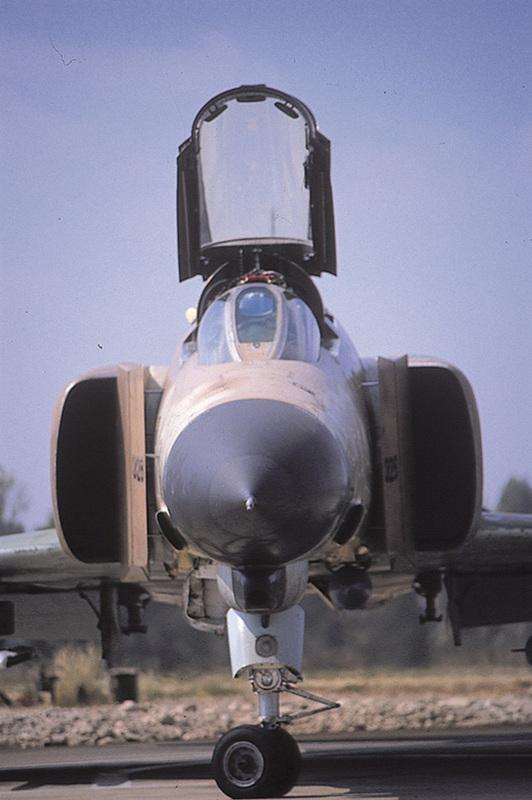 As far back as the initial development phase of the Phantom, McDonnell Douglas had suggested the development of a photographic reconnaissance model, to be equipped with additional cameras and sensors. When the US Air Force and Navy ordered Phantoms, they also acquired special reconnaissance models, designated RF-4B and RF-4C. Following intense international interest in the reconnaissance model, the RF-4E version - based on the F-4E - was developed. In this model the cannon was removed and various cameras and sensors retrofitted, enabling it to carry out both day and nighttime tactical reconnaissance missions. The RF-4E's generally take to the skies armed with just air-to-air missiles for self defense, but if called upon they are also capable of carrying out air-to-ground strikes. 150 RF-4E's were manufactured, and more than half were sold to the German Luftwaffe. Other RF-4E's are in use in the air forces of Iran, Greece and Turkey - as well as Heyl Ha'avir.. In 1980, the IAF embarked upon the initial planning phase of the project for upgrading the Kurnas. On July 15th 1987 the first prototype of the improved plane took off. It was dubbed the Kurnas 2000. Kurnas 2000, which entered service in the IAF on April 9th 1989, was different from the original Phantom mostly in its avionics. "Although they look practically identical, the Kurnas 2000 is a completely different plane", said Lt. Col. A., commander of a Phantom squadron, who was being interviewed by the IAF Magazine. "The avionics make it a completely new aircraft. The avionics are, in effect, the heart of the plane, and the upgrading project basically amounted to a heart transplant; the Phantom's heart was replaced with a much stronger one". The conversion plan included replacing the plane's original radar with a new one. Norden, an American company, developed the APG-76 radar especially for this purpose - and according to the IAF's specifications. This radar, considered to be the best of its kind, uses advanced technologies that were originally developed for the US Navy's future attack plane, the A-12 Avenger II - a project that has since been cancelled. The APG is a Synthetic Aperture Multi-Mission Radar System which constructs a representation of the terrain by sending electromagnetic waves towards it. The great advantage of this mode of operation, compared with systems that are based on optical equipment, is that the picture quality remains good, even in bad weather. The radar is currently an exclusive feature of the Kurnas 2000, but in view of its superb performance, the USAF is considering a special pod mounted version for its F-16's. The Kurnas 2000 also boasts a Kaiser wide-angle heads-up display, considered the best in the world. The wide angle means that the system effectively covers 60% of the pilot's forward view - twice the angle covered by other systems. The displays, located directly in front of the pilot, show vital measurements like speed, altitude, direction of flight, etc., as well as information regarding the operation of weapons systems. The multifunction displays are one of the most important improvements in the Kurnas 2000's cockpit. The WSO, who is in charge of operating the planes avionics and weapon systems, sees the data pertaining to both systems on two color displays. A screen in the forward section of the cockpit shows the pilot the information he needs, and can be toggled to mirror the WSO's screen. The multifunction displays greatly improve cockpit ergonomics, and ease much of the work burden on the two crew members - especially during combat operations.